We typically charge "$300.00 and up"
Carnival Full of Fitness plans, facilitates, and organize activities for one of the best events your guest will ever experience. Our instructors have a unique gift for reaching out to children of all ages, energy levels, and personality types. Your guest will spend hours running, laughing, and playing the most thrilling, interactive games and activities that Carnival Full of Fitness has to offer. We make sure that all children as well as adults are a part of the action, stay safe, and most importantly, have fun. It is our hope that you are seeking a new creative healthy way to make your event a success. 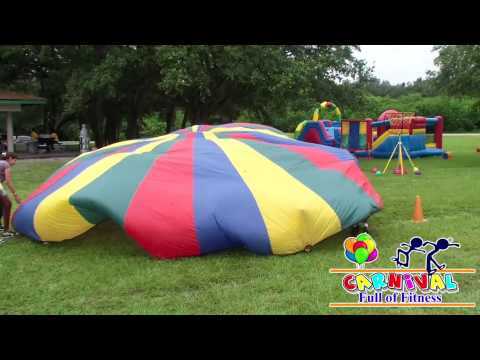 Relays, Arts & Crafts, Carnival Games, and Inflatables. I have had the opportunity to have Carnival Full of Fitness for my son's 10th Birthday and everyone had a great time. My son's birthday was such a hit that his friends kept asking him when will he have his next party. Even kids that were not able to make it where inquiring about his next birthday. The owner Mr. Williams was so professional along with his staff. They kept everything well organized and allowed me to enjoy my son's Birthday party for the first time in years. 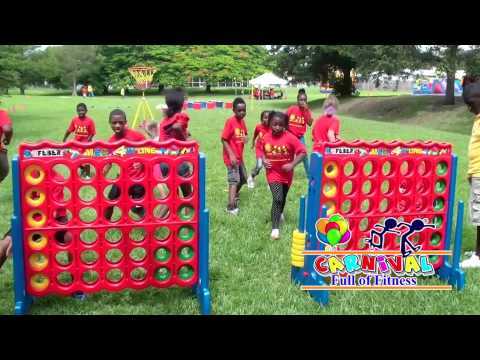 My friends also had lots of fun since Carnival Full of Fitness encourage adults to play too. I would hire them again in a heart beat. Price Range: We typically charge "$300.00 and up"
My name is James E. Williams Jr., a Physical Education Teacher with more than 20 years of experience. 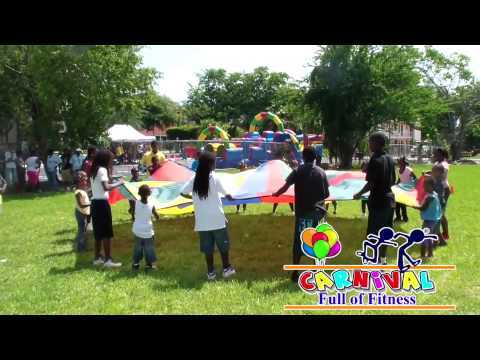 I would like to introduce my company Carnival Full of Fitness, Inc., of which I am the founder and Chief Executive Officer. 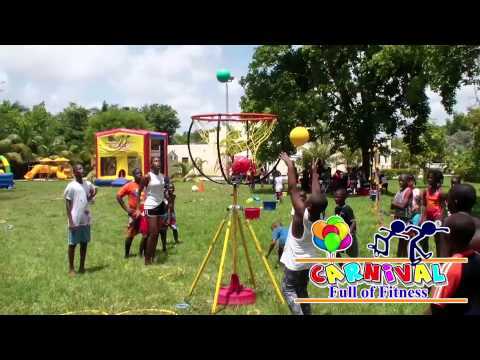 Our mission is to promote proper nutritional habits and exercise to children by disguising educational and physical fitness activities in a carnival environment. 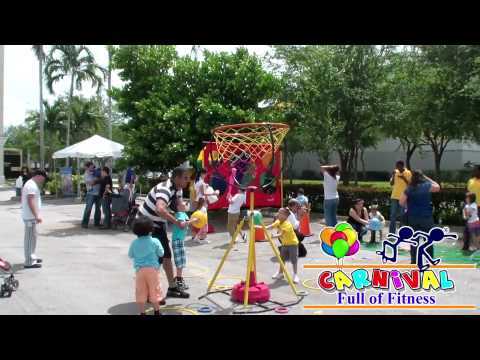 Carnival Full of Fitness was created to address childhood obesity. Our company has a well-established track record, and our services have always met with great customer satisfaction. We recently held an event for the Miami Children’s Hospital and the Ronald McDonald House Charities to name a few. We provided our services to over 10 agencies and 1000 children this past summer. The children participated in arts and crafts and physical fitness activities, and they were each given a health and nutrition kit. We offer a great service and have never been known to compromise on the quality of our service. First, we group participants (children and adults together) into even groups. Our activities are for everyone; all ages. After grouping participants, the Carnival Full of Fitness Facilitator will lead all games and activities along with his staff of Games Masters. The Facilitator along with his/her staff duties are to explain the games, interact and monitor participants during play. The Facilitator will take participants through various stations; example (relays, games and activity stations). The games are usually non-competitive; however, competition is solely based on you (your choice). Carnival Full of Fitness doesn't have winners or losers. We take pride in promoting cooperation, respect, honesty, and caring for one another. "We are all winners". At the end of your event, our grand finale will be our "tug of war" or “rope pull”. You will choose how you want this event to end your event; example, girls/women against boys/men or husband side against wife side.....your choice. Don't wait. Book your event now.